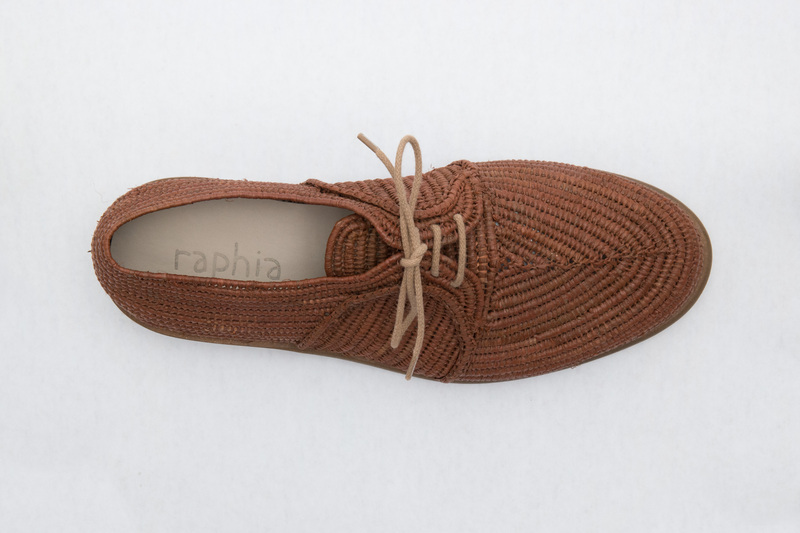 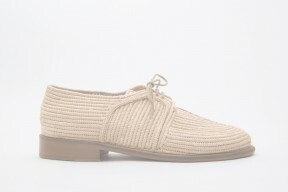 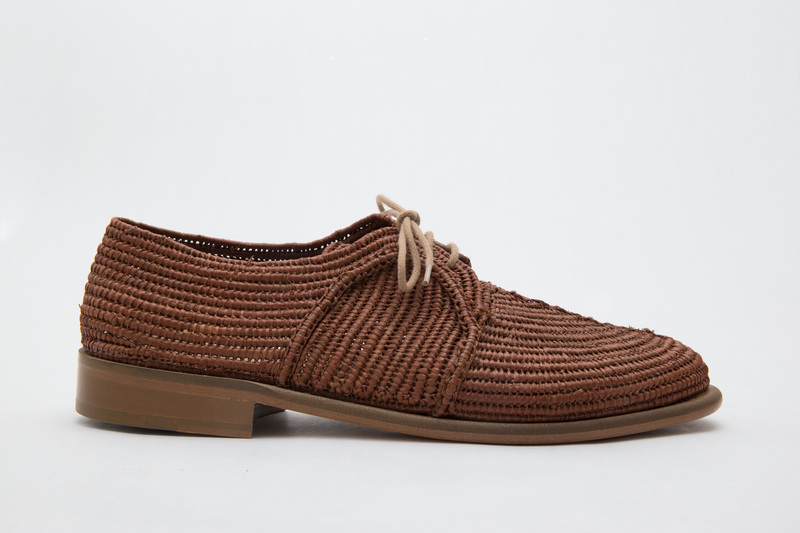 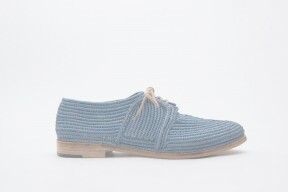 A handcrafted raffia laced-up shoe with a leather sole. 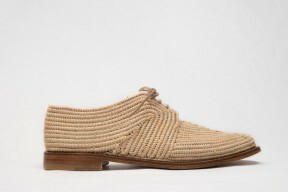 The dried raffia leaves are hand-woven around the shoe last in Morocco using different techniques resulting in unique patterns. 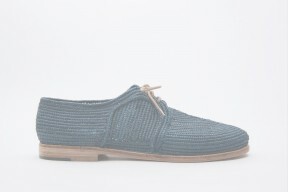 The sole is made of leather, with a 5 mm rubber anti slip heel. This shoe is very light and open. Colour: cuba brown. 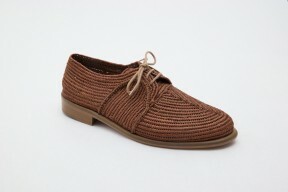 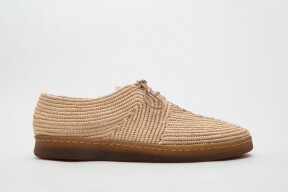 Uppershoe 100% natural handcrafted raffia fiber. 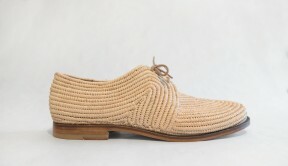 Every item is unique and slight variations may appear. Available in size 40 – 41 – 42 – 43 – 44 – 45.